Good Habits Brushing teeth twice a day. Taking bath daily. Washing hands properly before and after meal. 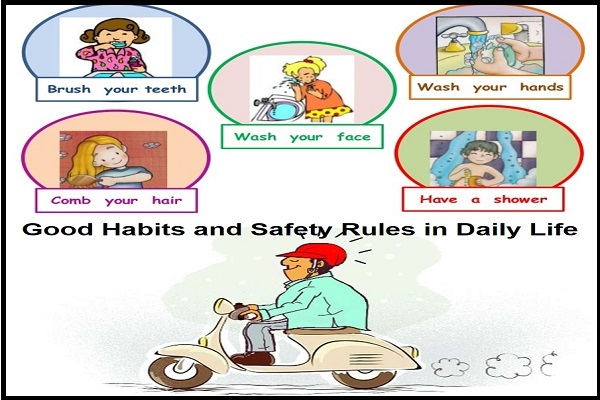 Safety Rules Wear a helmet before driving. Always follow the traffic rules.